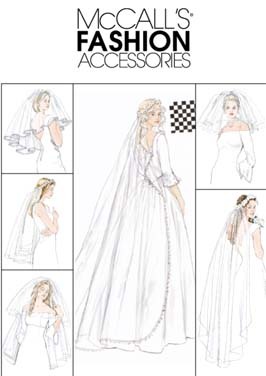 So I have been doing some research about how to make your own bridal veil (with a little help from Mrs. Bower). I am not sure if I will end up making mine (I might borrow my cousin's actually), but I thought I would share what I have learned so far. Even Martha Stewart was no help on the subject of DIY veils - which I could hardly believe. 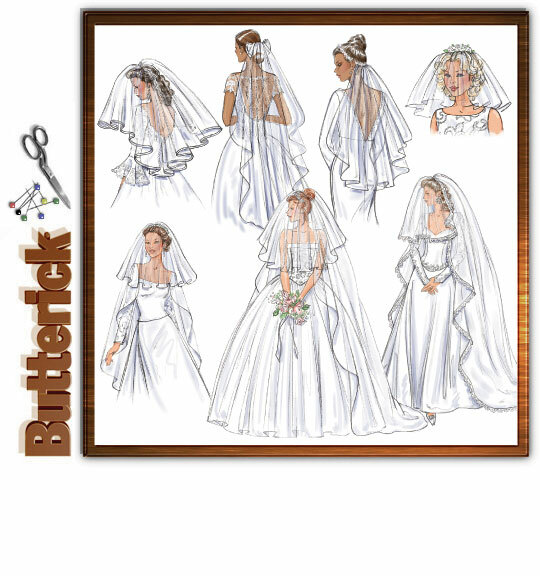 I think the site with the most complete instructions was on a blog called Chica and Jo - "Make your own wedding veil" post/tutorial (complete with lots of diagrams). I then found a site that seemed to sell them for pretty cheap. If you wanted to use expensive heirloom quality materials, you could buy a cheaper veil and then deconstruct it and then use it as a pattern for your new DIY veil (this may not be the most cost effective option)! I went to Britex in San Francisco with Audrey and they have some insanely beautiful coutour lace from Paris (it isn't cheap, $$$/yd) - see below. I thought about using nice silk tulle, and then purchasing a small piece of this and placing the lace on the edge of the veil. Finally, if you want to buy a pattern, there isn't a huge selection (only about 4 or 5 options). 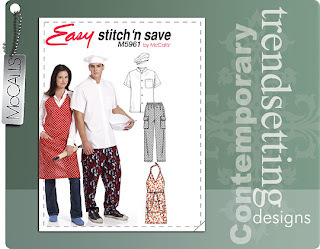 I found a site that sold many different patterns, in addition to all the patterns sold at each pattern maker's site below. For what it's worth, there isn't a whole lot to a veil - it just seems that handling the materials (which can be expensive) can be difficult. I hope that you DIY-ers out there find this consolidation of resources useful! I couldn't find anything like this when I was looking. I'll keep you posted if I decide to make my own veil or have it be my "something borrowed." If you have made your own veil and lived to tell the tale - please share! p.p.s. 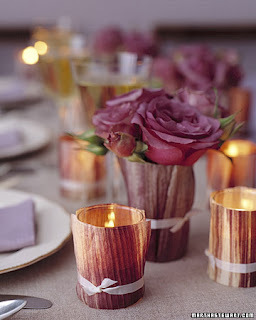 If you can't tell, I like all the pretty, girly parts of the wedding. 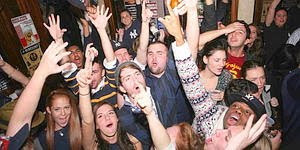 When the Yankees won the World Series, somehow my sister ended up on the front page of the NY Post. See her? it is like Where's Waldo. It got me thinking about other places I had seen Bridget in unexpected places - namely Wal-Mart in the fabric section! I couldn't resist these two. First you can make an outfit for Christmas morning - something comfortable and warm - preferably with a ruffled hem. And then change into your cook's outfit to make Christmas dinner! Perfect! Forgive me little B - I can't help it! You are too cute in these photos! I tried to find a photo of the cover I saw at Wal-Mart, but it isn't on the McCall's website. The End (Jake's Story) from Nuru International on Vimeo. I know I write about Nuru and Jake Harriman with some frequency, but I am so impressed that I want to do all I can to help him out. As people around the country pull out their wallets on Black Friday - maybe some of you could throw a little Jake's way. He, and the Africans he works with, definitely deserve it. I like Alton Brown and I thought this video was a fun way to celebrate Thanksgiving. He is really fun to watch. Enjoy! This year, for the first time in a long time, I am spending Thanksgiving away from home. Our New Orleans Thanksgiving meant turkey, honey baked ham, sweet potato casserole, green beans (not the classic casserole with the fried onions from a can - although I LOVE that kind), salad, cornbread dressing, and cranberries - all smothered in gravy (well that is what I do anyway). Check out this spread from 2007. YUM! That year I had just started dating my now fiance and I brought back to California a plate of my Thanksgiving dinner (left below) and he brought to me a plate of his (right below). 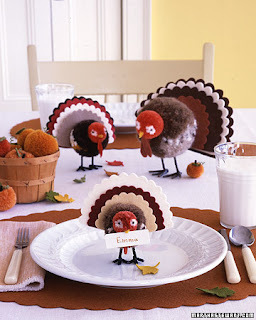 We each got to taste the Thanksgiving dinner of the other. This year I am lucky enough to be able to taste his family's cooking in person. Looking forward to those stuffed onions! Every Thanksgiving Eve as a kid, we would eat Chinese Food with my grandparents and extended family at the Five Happiness Restaurant in New Orleans. It was awesome - we always fought over who got to eat the meat on a stick appetizer that you roasted over the fire. I feel like house fried rice is still one of my favorite sides (everything tastes good mixed with it)! Thinking about Chinese food, got me thinking about the Chinese food I ate when I was in China. I was there with 25 other students. Here is a typical meal (this one in Urumqi) - always way more food than we could possibly eat! Yes that is plates stacked on other plates full of food - and this is at the END of the meal. Some of the food was less recognizable... I think I see an egg white? But all of it (when it wasn't too spicy) was pretty good - I particularly loved this pork dish (cooked under a layer of fat). Seriously delicious (this meal was in Chengdu). Some of it was funny - like chicken feet flavored chips (look closely at the image on the bag). I tried it and think I will pass on future chicken feet flavored things. Some tables were covered in plastic grocery bag material. Easy clean up? And others were super fancy - like this place where you each got a pot of boiling water and could dip raw meat or veggies in to cook it table side. Like Chinese meat fondue! It was awesome - I love a meal with a lot of sauce options. The favorite food of the meal? Soup dumplings - hands down delicious! I have no pictures because I ate them too fast. Kevin has taken me to a place near where we work and if I remember I will share the name (warning there is no English menu that I saw). Anyway, I think I may try to find a way to eat Chinese food tonight in my grandparent's memory. I rarely eat Chinese food these days - Indian food and Mexican food are my absolute favorite cuisines right now (if you count Chipotle as Mexican of course). Do you have any favorite Chinese restaurants in the Peninsula or South Bay? Maybe ones that deliver? In preparation for our wedding, I have been reading a lot of wedding magazines and blogs (probably doing more of that than actually planning the wedding). Anyway, I get a lot of good ideas from Martha Stewart (no surprise there). Anyway, I was reading an issue a while back and she brought up the topic of cake toppers. The following image was in her magazine - an image in a larger series to identify several cake topper themes: the bride and groom, bells, birds, fresh fruit or flowers, sugar fruit or flowers, etc. The little couple to the upper right of the picture caught my eye. How sweet they were! It reminded me of our friends Ross and Abby - who when they got married used a vintage family cake topper (see below) on their wedding bread pudding. Inspired by both Martha, and Ross and Abby - I set out to find a sweet vintage cake topper of our own. Ebay + $13 got me the little duo below. Estimated to be from the 30s or 40s (based on the style of dress), the little couple is a bisque cake topper made in Japan. I am in love with it and can't wait to see it on our cake. I don't know why there is only one quotation mark... but there is. I can't seem to find the poem online anywhere else, so I am not sure if the card making people took liberties with a longer poem or if this is just some sort of obscure e.e. 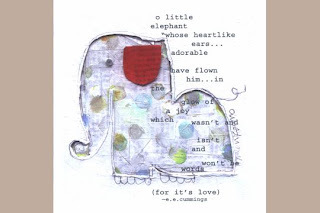 cummings poem. Either way I thought it was really sweet. 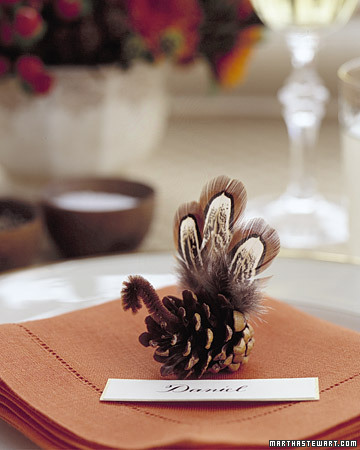 Here are some of my favorite Thanksgiving ideas from Martha. 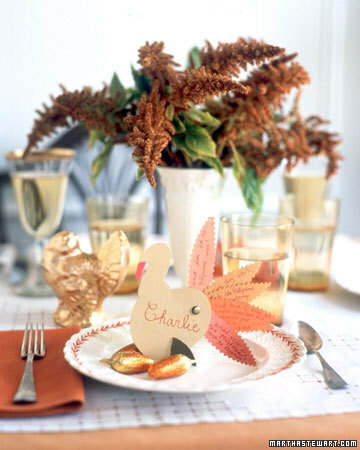 I especially love the entire look of the headdress place setting (the colors, the china, the tablecloth) and the last two turkey place cards (who doesn't love pom poms and feathers)! I took the above pictures at the Big Game in 2006 - which I attended with Benji at Cal. I like these photos because the Cal students spelled out "kiss our axe" with cards at halftime. I actually have photos of the entire ~20 card sequence which is really cool, but I just posted these two. The Axe is awarded annually to the winner of the big game (since 1933). Unfortunately we didn't get it back this year... ah next year! Took this picture in March 2004 at the Outpost Tavern in Houston (a hangout of astronauts near Ellington Field). I was there for a week on a NASA sponsored project and spotted this sign that pretty much sums things up. Anne and Jason are getting hitched tomorrow! Congrats to the happy couple! Unfortunately I won't be able to make it (saving money and vacation days for our upcoming wedding). I wish them nothing but the best. Last weekend, I visited some of my favorite eating spots in DC and Maryland with my friends. First stop? Giant pizza slices in Adams Morgan (note that we had eaten earlier in the night at a very nice fusion restaurant in Chinatown called Zengo). After leaving Zengo, Christina said "that was very good, although I think I will be hungry in about an hour" - problem solved by giant pizza (it spans two plates)! Then there was Chipotle - the love of my (culinary) life. Is any trip to College Park complete without Chipotle? I ate there once a week (or more) for most of college, so it brings back lots of happy memories. And finally there was Cluck-U. I am not proud to love the cheese fries - but I do. They are not good, but so good. They are average fries with less than average nacho cheese poured over them. Like I said, I am not proud to have eaten every bite. Going to Cluck-U brought back some other memories - riding in the BBD with Benji. I thought I would include this photo of Ben and Cluck-U-Pac. Cluck-U-Pac (real name Lee Majors) used to work at the College Park Cluck-U and looks like Tupac - thus the nickname. He was a College Park celebrity - he even had his on cds that he sold near the student union from time to time! This past weekend I was in College Park, MD for an unofficial reunion with my closest college girl friends Laurie, Rachel, Christina, and Kelly. We attended the Virgina Tech vs. Terps game (that didn't go so well for the Terps) and had a lot of bonding time. One thing that I wanted to do was to stop by the Omicron Delta Kappa fountain on McKeldin Mall. ODK is an honor society at UMD founded in 1927. One of the benefits of membership is that you get your name engraved on a big fountain. Every two years, they pull up one of the blank stones and engrave it with the name of the members who joined over the last few years. Since I hadn't been back in a while, I hadn't yet seen my name on the fountain. On the way home from the game, Kelly, Christina, and I made a detour to find my name - and there it was right under Christina's husband! It was lots of fun to see my name. My grandfather was actually in ODK at Georgia Tech in the 1930s (he studied electrical engineering). Upon my grandmother's death, I got a really special charm bracelet with all the charms my grandfather collected in college - two of which were ODK and Tau Beta Pi (an engineering honor society). I was also in these two societies and have added my identical charms to the bracelet. I have both sets of charms on the same bracelet... it is pretty cool because our graduation dates are separated by 67 years . Last week we made turkey meatloaf from the Barefoot Contessa. We halved the recipe and it still managed to make 8 portions! I can't imagine making the full recipe for just the two of us. I grew up eating meatloaf and still love it. I love it served with corn and mashed potatoes. Routing for my terps with my terps today! My Friday post this week goes out to my girls from college! It has been a long time - this photo was taken on the day of our graduation. Last week we made this Kale and White Bean Soup (recipe from epicurious) and it was sooo good. It was our second time making it. We subscribe to a CSA and it was nice because it used the carrots, kale, garlic, and onions that we had gotten in our bag last week. Instead of making it on the stove top, we used the crock pot (I love my crock pot). We soaked beans overnight and prepped all the veggies the night before in the ceramic crock pot liner and put it in the fridge. The next morning we added the soaked beans, filled the crock pot with stock and water, and let it cook on low for 10 hours while we were at work. The recipe calls for a rind of Parmesan cheese, which gives this otherwise plain soup a really rich flavor. This soup was so good and so easy - definitely something I would recommend! In my family, we have several veterans. On Memorial Day, I mentioned my brother who is in the Army Reserve. Today I thought I would mention my Uncle Jim, who flew F-4's in Vietnam. Going to school in Maryland, I was very close to the Washington DC museums - a favorite being the Air and Space museum. Towards the end of my undgrad, the museum opened an annex at Dulles airport - the Udvar-Hazy Center. In 2004 I toured the museum and took my picture with an F-4 they had on display (knowing my uncle flew them). Today on Veterans Day, I want to say thanks to all the people that make the commitment to serve our country at home and abroad. Cleo taking a nap - so cute! While I am the kind of person who likes dogs more for other people than myself, meeting Cleo has made me realize that not all dogs smell bad and shed like crazy (I grew up with a Welsh Corgi that lived outside). I am still not ready for the responsibility, but I could see being a dog owner someday (although it will have to be a hypoallergenic one). Hiding among the members of Kiss! Halloween is so much fun. Have a great weekend! Aside from Chipotle and Kraft mac and cheese, the last food in my trio of desert island foods is the perfectly cooked grilled cheese. Taught first by my dad and Christina, I went on to perfect the art with Elizabeth while watching Days of our Lives after working mornings in day care over the summers in middle and early high school. The perfect grilled cheese is best cooked in a well seasoned (i.e. never washed) cast iron skillet using Kraft american cheese slices. Elizabeth liked to butter the bread, I like to drop butter the pan. I like a low heat so the cheese get nice and gooey while the bread turns a golden color. With Elizabeth I would wash my two sandwiches down with coke, and she would wash her one sandwich down with a diet coke. We would then do the Cindy Crawford work out video and then read our European history summer reading by the neighborhood pool while occasionally swimming "laps" across the small pool. I ate them literally every day for many summers. On Sunday, I ate a golden brown grilled cheese and drank it with a coke (leftover from our party). It was heaven. I must remember to eat grilled cheese more often. Good thing Elizabeth gave me the best birthday present ever a few years ago! Thanks again!! My sister sent me this video of a sweet little boy helping a sick girl in Gretna, Nebraska (outside Omaha). Why? "because I love her." It was really quite adorable so I thought I would share it with you too. A few weeks ago I was browsing my subscriptions on Google Reader when a post ("craving caramel") from a blog I read called Delight by Design caught my eye. I starred the post and kept going. Well after a few weeks of marinating... I can't stop thinking about a blanket I saw in one of the photos. 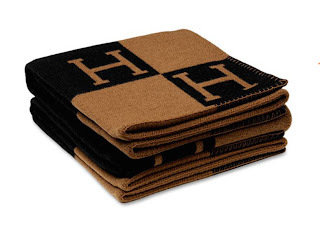 A big, warm looking camel and black wool and cashmere blanket from Hermes. Perfect for the fall when it is crisp and leaves are changing. Of course being Hermes, it is insanely expensive (four digits before the decimal) and probably not worth it (sigh). It reminds me of this camel colored wool blanket my parents used. This room is perfect. 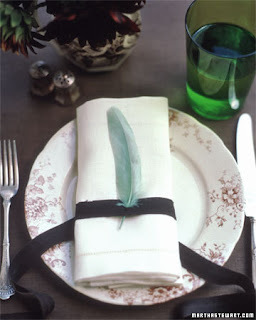 It originally came from Domino Magazine in 2008, but it was scanned in and displayed on Apartment Therapy in May 2008. I am obsessed. Here is the picture from the Hermes website (they have 6 different colors - although this one is my favorite). All folded up you can hardly tell how awesome it is. For more pictures of these blankets in beautiful rooms check out this post from Style Rumors. Lovely wool blankets... have any favorite blankets I can look at to get my mind off this insanely expensive one? This past weekend we hosted a Halloween party, that also sort of doubled as a housewarming since we had never really hosted a party in our house. All day Saturday, Audrey, Kelley, Suchi, and I cooked sweet treats to serve (thanks so much to them for coming over to cook)! And last but not least - lots of sugar cookies in fun shapes! I used my mom's recipe. Tasted delicious! It was a great party - thanks to all that came over. I will say that 100% of our guests were in costume... pretty awesome!